The monsoons in particular tend to bring about a host of illnesses. From allergies to colds, flus and all of the good stuff that goes along with it. This could be due to several reasons, ranging from the sudden temperature and humidity change, or the inclusion of allergens in the air. The changes in seasons can be rough but the monsoons are rougher in particular. So if you’re wondering about Ayurvedic natural treatments for cold, coughs, headaches and sinuses, we have a few things you can give a whirl. If any symptoms persist, please feel free to consult our doctors or pay your local GP a visit. When the Kapha and Vata doshas are imbalanced it can lead to sinus problems. From a clogged sinus to migraines and pain. 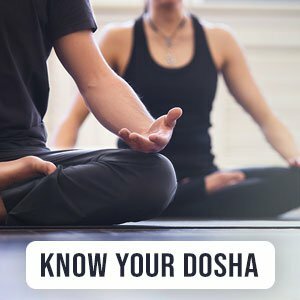 To pacify and balance your doshas you will need to eat foods and fluids that are neither too hot nor too cold. Drink plenty of water. Boil some water with ginger and clove, let cool then drink the liquid throughout the day after it is at a lukewarm temperature. Also make sure to take plenty of fruits and veggies. If you suffer from constant headaches, there may be underlying issues for which you should consult a doctor or seek medical advice. But another reason is that you may just be dehydrated. Also headaches are often caused by indigestion, it is therefore suggested to eat lighter foods and stay away from heavier or oily foods. It is also a good idea to stay away from heavy foods like cheese and meat, and avoid alcohol. Once again, make sure to stay hydrated. Nausea is usually caused in an imbalance in the doshas leading to digestion issues. This can cause excess Kapha and Vata buildup in your systems, leading to feelings of giddiness and nausea. A time-tested way to help feelings of nausea especially if pregnant is to sip on some ginger tea. Learning to be relaxed has also shown to help with feelings of nausea. Aromatherapy is a great option for this. It works on a pretty simple principle. Aromatherapy aims at removing those smells which might add to feelings of nausea and replacing them with soothing and calming smells. Some of these are lemon extract or peppermint essential oils. To learn more about aromatherapy, click here. Give these natural remedies a go and say goodbye to these common ailments.